Also exhibiting at Birmingham Made Me this week are Plant and Moss. The design duo established their studio in Birmingham's Jewellery Quarter in 2010. As a company wanting to both design and manufacture their limited run work in the UK, they chose the Midlands because of its strong manufacturing tradition and access to local industry. The Odd Couples Bench (above) was inspired by the quirky couples in restaturants who sit next to instead of opposite each other. 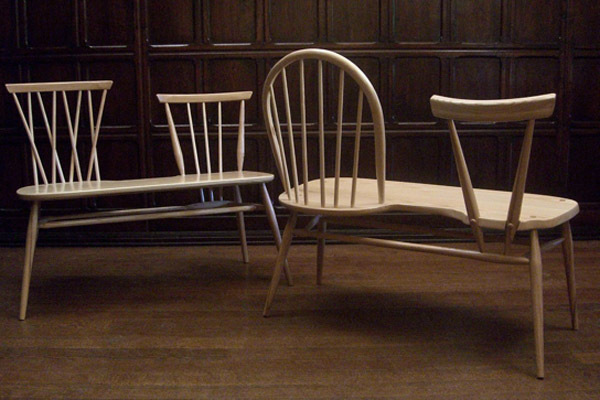 The contrasting backs, which reference windsor chair designs from bygone days, are intended to represent the various characters that may grace the seats and also pay homage to the tradition of chair making. 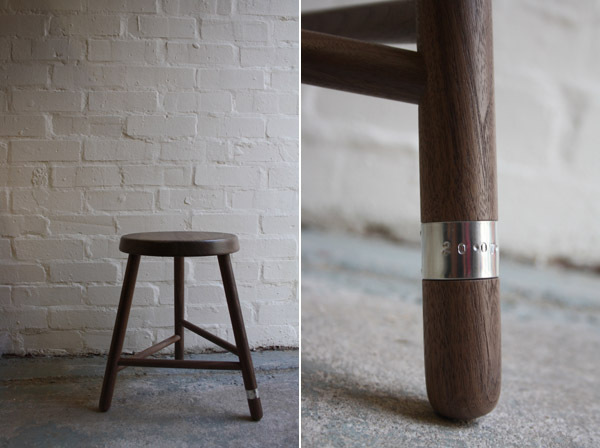 The Companion Stool by Mark Hodge bears a metal bracelet stamped with the stool's date of creation, which provides a starting point for the stool's life and is designed to enrich it with a sense of provenance and history in the years to come.